Enuff Z’Nuff have released the new song “Metalheart” from their upcoming new studio album “Diamond Boy”, which will be released on August 10, 2018 via Frontiers Music Srl. "BREAKING NEWS: Enuff Z'Nuff To Release DIAMOND BOY August 10th via Frontiers Music Srl! New track, "Metalheart" Out Now! On The "SiriusXM Hair Nation Tour" In September! 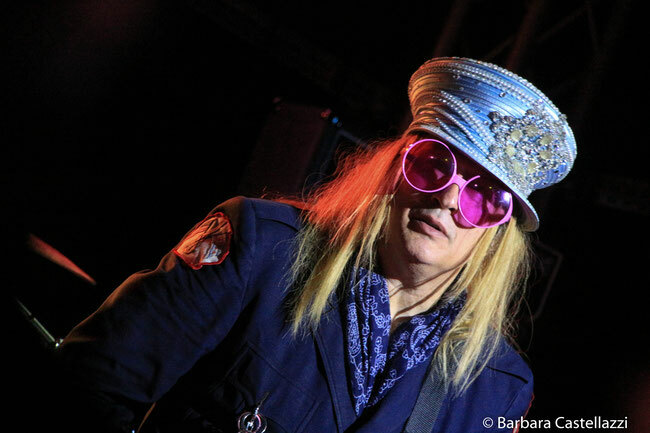 Enuff Z'nuff are the living, breathing example of what a rock 'n roll group should be. Now centered around bass player and vocalist Chip Z'nuff, Enuff Z'nuff are still alive and kicking with a legion of loyal fans, who can't get enough of the band's power pop melded with hard rock stylings. They have proven this once again with the release of their upcoming album "Diamond Boy" which is set for an August 10th release via Frontiers Music Srl.". In addition to Chip Z'nuff, the band features longtime guitarist Tory Stoffregen, ex-Ultravox singer/guitarist Tony Fennell, and Chicago native Daniel Benjamin Hill on drums. Enuff Z'nuff continues to tour and record relentlessly and this new record shows once again what a truly gifted hard / power pop act they are. With no shortage of hooks and awesome songs, "Diamond Boy" is another gem in Enuff Z'Nuff's crown!